1) (Heywood, co. Berks; John Sawyer, Esq., of Heywood, High Sheriff 1819, was son and heir of Anthony Sawyer, Esq., of Heywood, and grandson of John Sawyeb, Esq., by Anne, his wife, sister of Anthony Duncombe, first Lord Feversham). Az. a fess chequy or and sa. betw. three seapies ar. Crest—A talbot guard, ppr. Motto—Cherches et tu trouveras. 2) (co. Cambridge, and Causton, co. Norfolk). Az. a fess componée or and sa. betw. three seapies ar. Crest—On a mount vert a hound on scent ar. spotted liver colour. 3) (Kettering, co. Northampton, 1604). Lozengy or and az. on a pale gu. three escallops of the first. Crest—On a mural coronet gu. a parrot’s head erased vert, beaked gold. 4) Gu. a chev. betw. three birds ar. within a bordure of the second. 5) Az. a fesse, chequy, or and sa. betw. three doves ar. Crest, a talbot, guardant, ppr. This is an Anglo-Saxon occupational (or metonymic) last name meaning “the sawyer”, a person who saws wood or timber into logs or boards for a living, an important and critical occupation in medieval times and the Middle Ages. The name derives from the Middle English word saghier or saghen, meaning “to saw”. The Old English words were sagu and saghe. In some instances, it also may be an Americanized spelling of the surname Segar or other like-sounding Jewish surnames. Another theory is that this is a name of Norman origin, with a one Radulphus de Sahurs of Sahurs, Normandy, France recorded in 1198 AD, the name perhaps having come into England and the British Isles during the Norman Invasion of 1066 AD led by William the Conqueror. Some spelling variants or names with similar etymologies include Sawere, Sawer, Sawiere, Saghier, Sawyere, Sawyers, Sawyier, Sawyerr, Saweyer, Sawayer, Soawyer, Sawyr, Seayer, Sauwer, and several others. The last name Sawyer ranks 646th in popularity in the United Status as of the 2000 Census. The name ranks particularly high in the following five states: Maine, New Hampshire, Vermont, North Carolina, Virginia. The surname Sawyer frequency/commonness ranks as follows in the British Isles: England (793rd), Scotland (2,233rd), Wales (1,201st), Ireland (4,790th) and Northern Ireland (2,801st). In England, it ranks highest in counties Suffolk and Berkshire. In Scotland, the surname ranks highest in Kirkcudbrightshire. In Wales, it ranks highest in Cardiganshire. In Ireland, it ranks highest in Queen’s County. The name is also present throughout the remainder English speaking world: Canada (1,329th), New Zealand (2,143rd), Australia (922nd), and South Africa (2,270th). One of the first documented bearers of this surname was Nicholas de Dagyere who was listed in the Records of the Abbey of Bec in 1248 AD in Berkshire, England. Humphrey le Sayhare who was listed in the Somerset Rolls in 1270 AD. The Hundred Rolls of 1273 AD, a census of Wales and England, known in Latin as Rotuli Hundredorum lists two bearers of this surname: Ralph le Sawiere (Huntingdon) and Geoffrey le Sawere (London). Henry le Sawer was recorded in the Close Rolls in 1280 AD. Philip le Sagher was documented in Wakefield in the Yorkshire Rolls of 1324. John le Saghiere was recorded in the Sussex Rolls of 1327 AD. Kirby’s Quest lists one William Saweyer in county Somerset in 1327 AD. Richard le Saghiere was documented in the Close Rolls in 1347 AD. Henry le Saghier was documented in the Writs of Parliament. Walter le Sawyere was listed in the Caldendarium Rotulorum Originanlum. The Poll Tax of 1379 AD of Yorkshire lists two bearers: Hugo Sawer and Thomas Sawer. An early marriage involving this surname was Richard Sawyer to Jane Jessat at St. George’s Hanover Square in London, England in 1767, as well as France Sawer to Richard Meares at the same church. In Scitland, Alexander Sawer was a burgess (citizen) of the city of Glasgow in 1447 AD, Andrew Sauer was documented in Prestwick in 1470, Patrick Saware was documented in 1510 AD, David Sawar was an assize in Carrick in 1529 AD, and Thomas Sawar was a preacher in St. Andrews in 1545 AD. The lineage or ancestry of this branch of the Sawyer family tree traces back to Edmund Sawyer, an Esquire of Cawston, Norfolk, England (in modern day United Kingdom once called Great Britain). He married Jane Fiske of Halesworth and had a son with her named George. 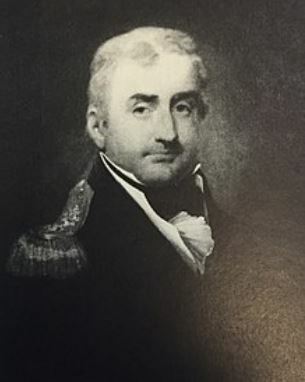 George Saywer, Esq. who married Anne, daughter of Elezins Hill of Blodfield. Together, they had a son named Sir Edmund Sayer, a Knight who was born in 1579 AD. In 1627, he procured the manor of Heywood in Berkshite, and he also served as a member of Parliament for Berwick-upon-Tweed the next year. He married Anne, daughter of Sir William Whitmore of London, and had issue with her. His fourth son, Sir Robert Sawyer, was born in 1633 and was Attorney General to King Charles II of England and counsel to several Bishops during the reign of King James II. He had a son named George. George had issue including Edmund. This Edmund Sawyer was an Esquire of Heywood, who in 1860, married Mary, daughter of John Finch of Fiennes, and with her had five children: Sarah, Mary, Elizabeth, John, and George (born in Canon of Pyon in county Hereford, England and served as a Mahor in the Army). The son John was an Esquire of Heywood born in 1685. He married Anne, daughter of Anthony Duncombe, and had 13 children with her as follows: Anthony (his heir), Herbert (Admiral in the Royal Navy, married Anne Majendie of Lisbon, had a son named Sir Herbert), Charles, Susan Anne (married Charles Hope a Captain in the Royal Navy), Sophia, Louisa, Sarah (married Reverend James Thistlethwaite of Sunning Hill), Elizabeth, Jane, Anne, Harriet (married Captain Dansey of the Royal Navy), Mary (married Charles Jenner of Prebendary of Lincoln, Archdeadon of Huntingdon and Rector of Buckworth). He died in 1750 and was succeeded by his eldest son Anthony. This Anthony Sawyer was an Esquire of Heywood who was born in 1713. 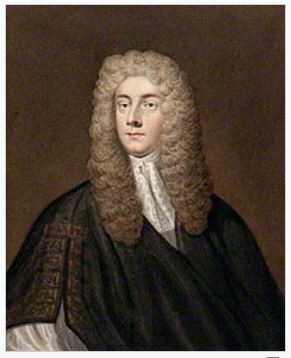 His second wife with Phoebe, daughter and co-heir of Richard Harcourt, was an Esquire of Wigsell, county Sussex, and was the father of the following six children: John (his successor), Richard (married Miss de Peter, a Dutch woman, and had a son with her named Richard John, and secondly married Mary Anne Shrapnell, having children with her named Henry Richard John and Phoebe), George (married Ms. Chappelen, a Dutch woman, had a son named George, and he secondly married Marianna), Mary (married William Bristow of Quiddenham), Anne (married Reverend Charles Smith), and Frances (married George Smith). He died in 1784 and was succeeded by his eldest surviving son John. This John was an Esquire of Heywood, Justice of the Peace, Deputy Lieutenant, and High Sheriff who was born in 1762. In 1785, he married Sarah, daughter of Anthony Dickins of Cherington, and had two sons with her as follows: Charles and Herbert (born 1803, married Frances Mary Smith, had children Edward Wayland, Reverend Duncombe Herbert, and Mary Isabella). He died in 1815 and was succeeded by his eldest son Charles. This Charles was an Esquire of Heywood, Justice of the Peace, and Deputy Lieutenant who was born in 1787. In 1812, he married Henrietta, daughter of Sir George Bowyer, 5th Baronet of Radley, and had eight children with her as follows: Charles (see below), Edmund (born 1816, Barrister at Law), Henry John (Barrister at Law, Judge at Demerara), Robert (born 1822, Barrister at Laq), Reverend George Herbert (Vicar of St. Luke’s), Reverend William George (Perpetual Curate of Little Milton, married Margaret Shephard of Great Milton), Henrietta, and Charlotte. He passed away in 1876 and was succeeded by his son Charles. Charles Sawyer was an Esquire of Heywood, Berkshire, Major-General in the Army, and Lieutenant Colonel of the 6th Dragoon Guards who was born in 1813. In 1810, he married Anna Maria, daughter of J.F. Timins of Hilfield. The Sawyer Coat of Arms (sometimes mistakenly called the Sawyer Family Crest) is blazoned in the medieval European art of heraldry as follows: Azure, a fess chequy or and sable between three seapies argent. Crest: A Talbot guardant proper. Motto: Cerches et tu trouvera. This family was seated at Heywood, Maidenhead, Berkshire, England (modern day United Kingdom, once called Great Britain). They resided on Roland Gardens. Thomas Sawyer (born in Lincoln, England around 161, went to colonial America married Mary Prescott. He was the father of the following children: Thomas Jr., Ephraim, Mary (Houghton), Joshua, James, Caleb, John, Elizabeth (Hosmer), Deborah, Hannah (Blood), Nathaniel, and Martha. His son John Sawyer was born in Lancaster, Massachusetts in 1661. He married Mary (Ball) Sterling and had three sons with her: Edward, Jacob, and Moses. His son Sergeant Edward Sawyer was born in Lancaster, Massachusetts around 1687. In 1707, he married Elizabeth Mack in Hebron, Connecticut. They had at least twelve children together: John, Jonathan (married Dorothy Post), Edward, Thomas, Elizabeth (married Benjamin Bissell), Mary, Isaac (married Susanna Gillette), Lydia (married Benjamin Beach), Joseph, Hannah (married Jonathan Hutchins), Phebe (married Benjamin Carter), and Mary. His son Thomas was born in Hebron, Tolland, Connecticut in 1714. He married Hepsibah Dewey and had children with her named Jonathan and Hepzibah. His son Jonathan Sawyer was born in Hebron, CT in 1740. He married Tabita Palmer and had a son with her named Benjamin. Benjamin was born in 1780. He married Mindwell Sargent and had a son with her named Hiram. Hiram Sawyer was born in Orford, New Hampshire in 1814. He married Barbara Ann Wilson and had a daughter with her named Hannah. Hannah was born in New York in 1849. In 1872, she married William W. Mayhew and had a daughter with her named Sarah B. who was born in Wisconsin in 1876. William Sawyer was recorded as living in Virginia in February 1623 at “Plantacon over James Cittie”. He came aboard the Hopewell at the age of 18. Thomas Sawyer was recorded as living in Virginia in February 1623 at “At Warwick Squeake”. He came as a servant at the age of 23 around 1620. Records show both William and Thomas also had their last name spelled as Sawier. Other settlers in colonial America bearing this surname include Francis Sawyer (Virginia 1635) and Elizabeth Sawyer (Virginia 1700). In Canada, some first settlers bearing this last name included Michael Hyland Sawyer and Joseph Sawyer, who came in 1812 and 1831, respectively. In Australia, one of the earliest settlers bearing this surname was William Sawyer, a convict from Middlesex, England who came to New South Wales (then a penal colony) aboard the Asia in 1822. In 1840, a one Lavinia Sawyer came to the city of Adelaide aboard the Fairlee in 1840. In New Zealand, John and Mary Sawyer, age 24 and 27, respectively, came to the city of Wellington aboard the Aurora in 1840. In 1865, William Sawyer came to the city of Auckland aboard the Bombay. The name also made its way into the Caribbean. Margaret Sawyer owned 10 acres of land and 4 slaves in the parish of Christ Church, Barbados, in the year 1680. Elizabeth, daughter of Charles Sawyers, was baptized in St. George’s parish, Barbados in 1679. Charles Bolton’s American Armory (1927), Matthew’s American Armoury and Bluebook (1907, and Crozier’s General Armory (1904) do not contains any entries for this last name. I have identified one Sawyer family motto: Cherches et tu trouveras, which translates from French to English as “Seek and thou shalt find”. There are hundreds of notable people with the Sawyer surname. This page will mention a handful. Famous people with this last name include: 1) Ada Lewis Sawyer (1892-1985) who was the first woman to pass the bar exam in Rhode Island, 2) Benair Clement Sawyer (1822-1908) who was the Mayor of Pittsburgh, Pennsylvania from 1862-1864, 3) Lila Diane Sawyer (1945) who is a famous TV news anchor who has been on ABC World News and Good Morning America, born in Glasgow, Kentucky, 4) Herbert Sawyer (1730-1789) who was an officer in the British Royal Navy who obtained the rank of Admiral, fighting in the American Revolution, Seven Years’ War, and the French Revolutionary Wars, 5) Philetus Sawyer (1816-1900) who was an American politician who was a Senator from Wisconsin from 1881 to 1893 and a member of the US House of Representatives from Wisconsin’s 6th district, from 1873 to 1875, born in Whiting, Vermont, 6) Thomas C. Sawyer (1945) who was an American politician born in Akron, Ohio who held numerous jobs including 58th Mayor of Akron from 1984-1986, member of the US House of Representatives from Ohio’s 14th district from 1987-2003, and a Member of the Ohio Senate from 2007-2016, 7) William Sawyer (1803-1877) who was a member of the US House of Representatives from Ohio from 1845 to 1849, 8) Frank Grant Sawyer (1918 to 1996) who was the 21st Governor of Nevada from 1959-1967, a Democrat and World War II Veteran, born in Twin Fall, Idaho, 9) Lee Thomas Sawyer who was an English professional football (soccer) player who was born in Leyton, London, having played from 2008-2016 for 12 different teams including Chelsea and Southend United, and 10) William Sawyer (1815-1904) who was a lumber merchant born in Sawyerville, Quebec who served in the Legislative Assembly of Quebec for Compton from 1871-1886. Two of the main heraldic symbols depicted within the Humphrey Coat of Arms (incorrectly referred to as the Humphrey Family Crest or Humphrey Family Shield) are the seapie (now called the oystercatcher) and escallop, each which have their own unique meaning. According to Wikipedia, “The oystercatchers are a group of waders forming the family Haematopodidae, which has a single genus, Haematopus. They are found on coasts worldwide apart from the polar regions and some tropical regions of Africa and Southeast Asia”. This bird is water-fowl of a dark brown color, with a red head and neck, and wings white.